A new range of Motor Slide Bases is now available covering metric motor frame sizes from 63 up to 280 used in a vast range of plant including air handling plant, fans, conveyors, compressors, pump etc.. Wherever drive belt tightening is required on a periodic basis to compensate for wear, temperature changes, or simply belt stretching shortly after installation, our range of motor slide bases can simplify the process and minimise down-time. Loose drive belts, chains or friction drives can give rise to accelerated wear (hence life) and also reduce operating efficiency and transmitted power. These can be readily integrated into applications requiring additional vibration isolation using spring mounts and custom built intertia mass bases to achieve the highest levels of vibration isolation for use in buildings, hospital air handling plant etc. All of the motor slide bases are constructed from heavy gauge pre-slotted galvanised steel with no welded elements for long term corrosion resistance. 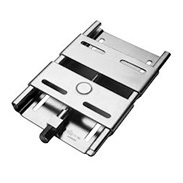 For optimum choice to both designer and user we offer the standard twin-plate slide base type (MB) for motor frames 63 to 132. You can search by the motor slide bases type, then you will be provided with all possible options. 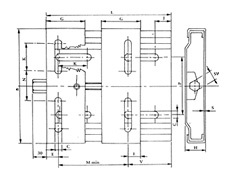 Mark motor slide bases type.